In the center of Tokyo there is a place where you can feel nature with abundant greenery: Yoyogi Park! Yoyogi Park is a municipal park located in Shibuya-ku, Tokyo. As it is near many train stations – Harajuku (JR Yamanote Line), Yoyogi Park Station and Meijijinguumae Station (Tokyo Metro Chiyoda Line), and Yoyogi Hachiman Station (Odakyu Line), and easily accessible from Harajuku, Omotesando and Shibuya, the park is crowded with families, couples, children, and senior citizens everyday. It has the 5th most spacious site among municipal parks in the twenty-three wards of Tokyo and is divided into two areas separated by a road. Section A is a forest park and Section B houses an athletic field, an outdoor stage and so on. Yoyogi Park was once an army training ground. Then American military barracks known as “Washington Heights” were built there. In 1964, the area was turned into Olympic Village during the Tokyo Olympic Games, and then repurposed as Yoyogi Park. 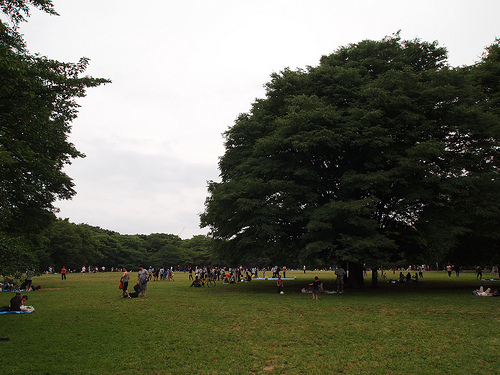 The once young trees at the time of opening are now fully grown and forms a thick forest with the trees in the Meiji Shrine next to the park. In May 1990, water amenities were incorporated into the park – three large, three small fountains of as high as 15-30m and waterways. The park was reborn as a place rich in water and trees. Within the park there is the Yoyogi Park Athletic Field used for training during hte Olympics, along with playing fields for sports like soccer. 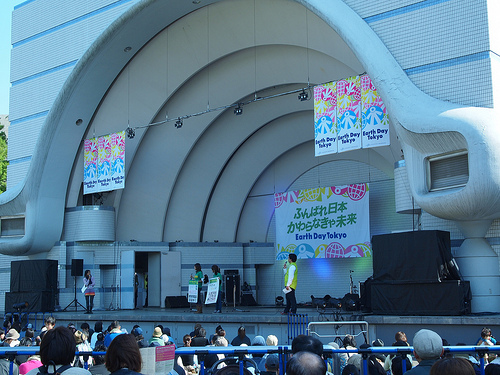 At Yoyogi Park, events are held every weekend. A fair featuring local and regional items, food events with global cuisine, an antique fair, a flea market, sports or dancing event. 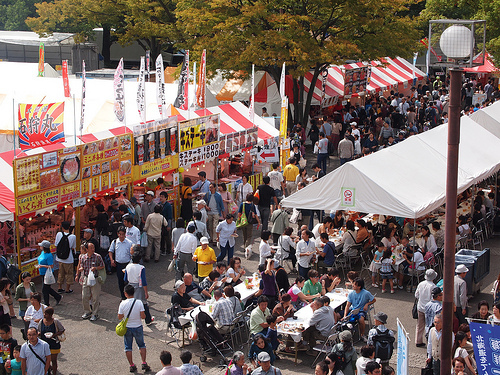 Various events are held and the park is crowded with people of all ages. Some people come to those events from outside Tokyo. They are also popular with tourists and a lot of people visit from overseas. The outdoor stage in the park is famous for free concerts or events by various artists and is also crowded with people. 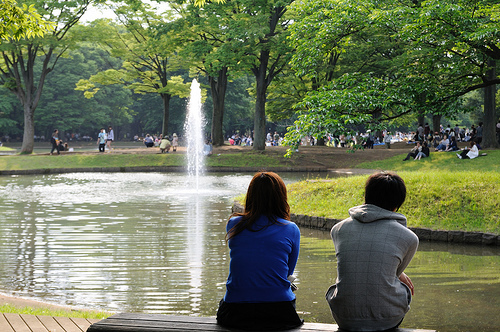 Yoyogi Park, where you can feel the nature while being in a big city, how about going there?